Is there any better store in the world than IKEA. The answer is “no”. If you said anything but “no” then that means you haven’t been to IKEA. Seriously, I can get lost in that store due to the possibilities that exist with everything that they create. It’s a million times worse because their showroom is a maze of awesomeness with each piece of furniture act like a siren luring you in. Sure, having to put everything together isn’t the most fun activity in the world but when you can get such great deals on things AND do some incredible hacks with them, then you can’t be too upset with having to put things together. In this post, I want to share with you some of the awesome looking IKEA hacks that I’ve come across that I think will try out in the future. 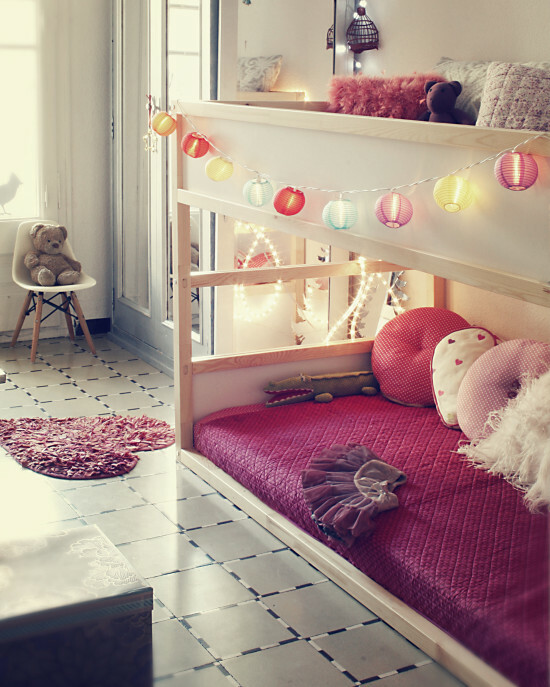 Everybody wants their bedroom to have a little bit of personality and kids are no different. If you can find a way to take some normal furniture and transform it into an awesome piece of furniture that your children love then you truly deserve that best parent trophy sitting on the bookshelf. So, without further ado let’s dive into the hacks. Add some wood paneling to turn the upper bunk of the Kura loft bed into a space that feels like a secret tree house. Instead of worrying about your kids taking the pillows off of the couch to build some forts, you can expect to see them hiding in their new bed fortress or whatever cool little nickname that they decide to give it. These clever shelves were made using the Bekväm spice racks and hung low enough to be easily accessed by the smallest of bookworms. What? Did you forget that physical books even exist? That’s understandable but it’s good to have some books laying around for your kids to go through. While the future is digital, there is just something about being able to put your hands onto something. 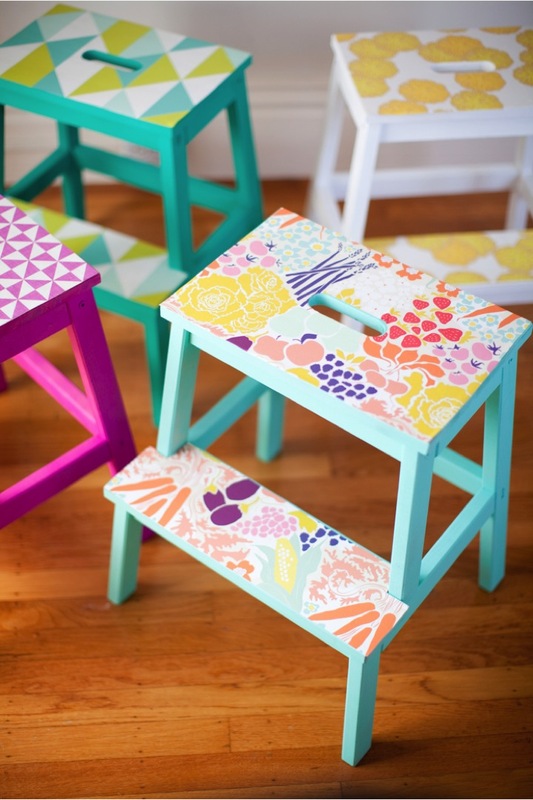 Go crazy personalizing these little stools with bright colors and patterned wallpaper. You won’t mind having them all over the house, from the kitchen to the bathroom. I really love this one because it’s something that your kids can get involved in and really flex their creativity. However, since this will be a piece of furniture in your home it’s on you to be their creative director and guide them along a bit so you aren’t left with something that you want to keep hidden. 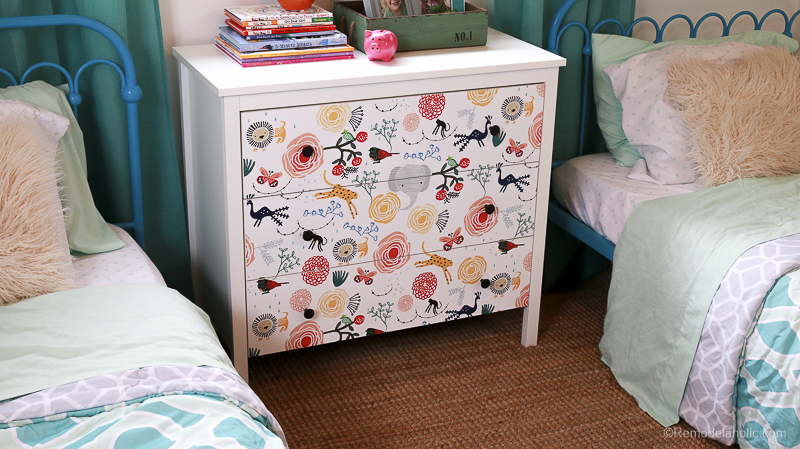 This IKEA dresser already has a great shape, but pick out some colorful wallpaper and some fun knobs and it becomes even prettier. If you don’t want to deal with wallpaper then you can purchase some fun stickers that you can change a couple times a year. Nothing is permanent when it comes to IKEA hacks. 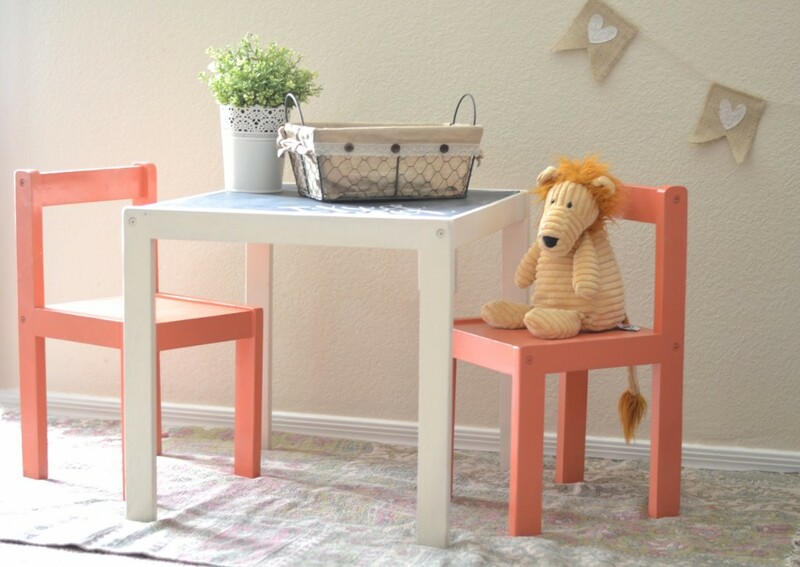 The little ones are known to be highly energetic, and they would play all day long – this is why this beautiful, attractive and child-friendly table might be a perfect fit for your house when they finally tire out. Because they aren’t big enough to sit at the adult table, having a personal table of their own can go a long way in making them feel like their own person. Who knew that all of our self-esteem issues stem from the fact that we didn’t have beautifully decorated IKEA tables as children? This is a great tutorial for all Lego fans. If your child is passionate about playing with Lego yet you are tired of stepping on the pieces every day, then look no further than this tutorial that will help you keep all the pieces in one place, without too much effort! You’ll still end up stepping on some Legos from time-to-time but that’s not the end of the world. In fact, you can turn it into a game where you act like you’re back in World War II trying to avoid landmines. Because that’s what they feel like when you step on them. A friggin landmine. This practical tutorial will teach you how to organize it so that your child can store pencils, notebooks, crayons, brushes, paints and all the other supplies in an efficient, organized and beautiful manner. 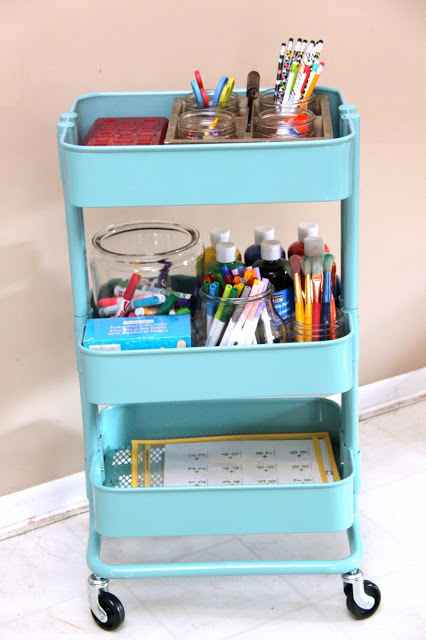 Nobody likes the idea of homework but at least for your sanity you can keep things organized so your kids can’t use the excuse of not being to find their homework supplies. Once they are done with school then you can transform this cute cart into anything that you want. The possibilities are endless! 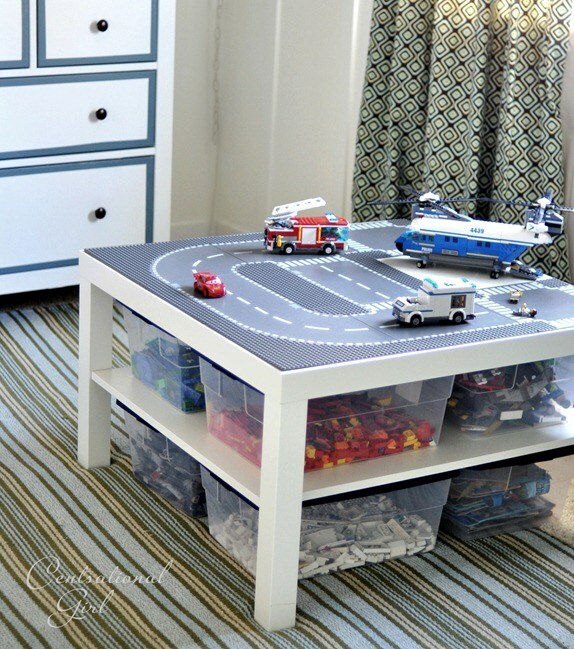 Instead of piling toy cars into bins and buckets, try filling a wall with your kids’ favorite four-wheeled treasures. 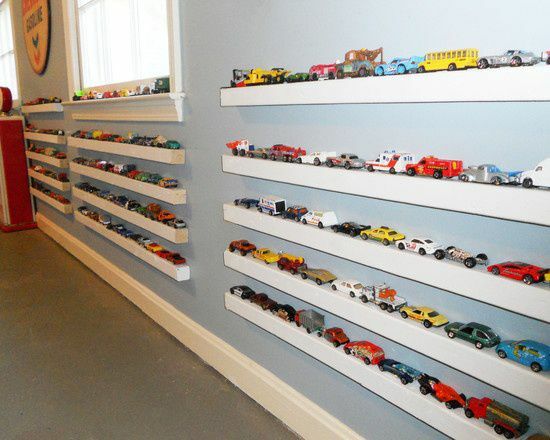 These Ikea book ledges are the perfect size for a colorful displaying of toy cars. What I love about this hack is that it can turn your child’s room into a museum. You can even pretend that it is an expensive exhibit you would find in the Louvre. Art lovers will go gaga for this fantastic IKEA hack. Here, a clever bunny has turned the IKEA LATT table into an artist’s station complete with a roll of MALA drawing paper, galvanized buckets and a place to display your kiddos beautiful artwork. You want your own home office. Kids want their own activity table. 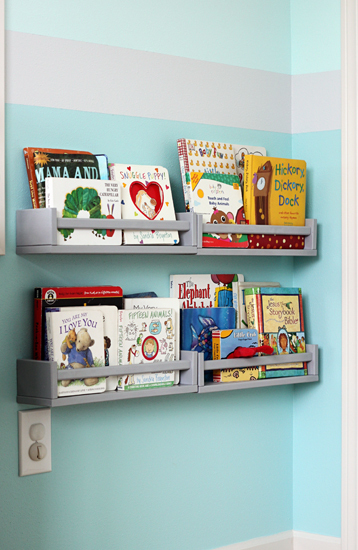 Kallax becomes your child’s dream come true with this awesome hack that turns a simple shelving unit into a play storefront. Now we’re just getting into the crazy world of IKEA hacks. I mean who seriously thinks of doing this with a simple bookshelf? 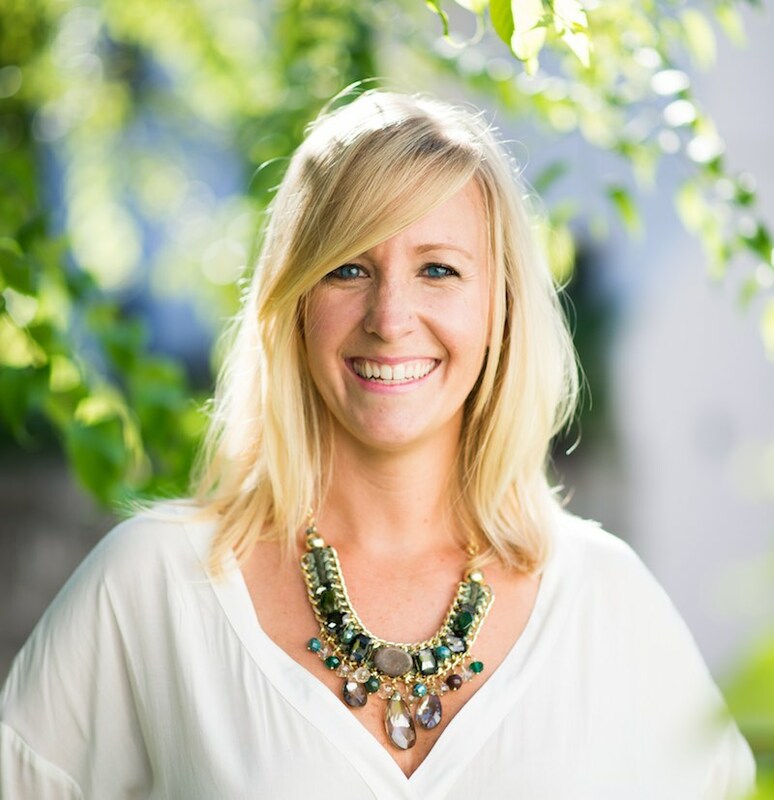 If you want to raise your kid as a budding entrepreneur then this is a good way to start. 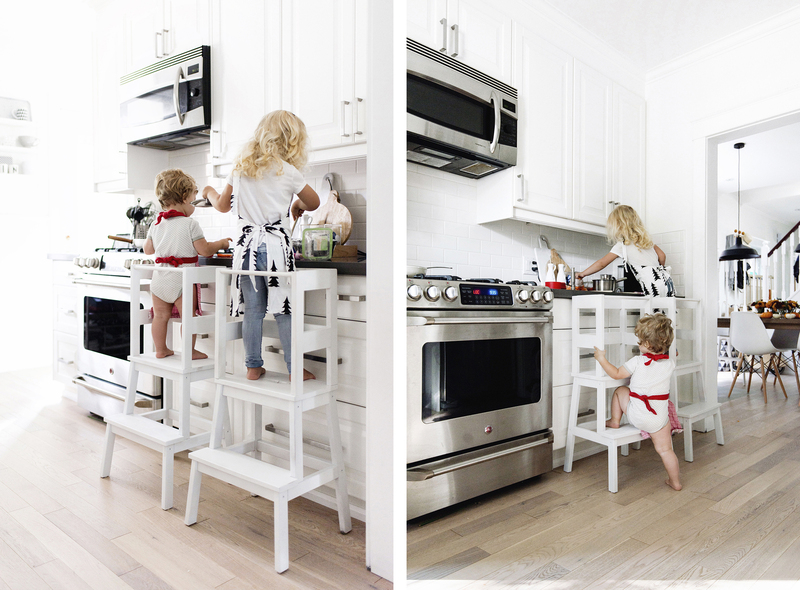 This DIY learning tower using the inexpensive IKEA BEKVÄM stool to keep kids safe while learning all they can. You cant go wrong with this tutorial. It’s load with great pictures and step-by-step instruction. 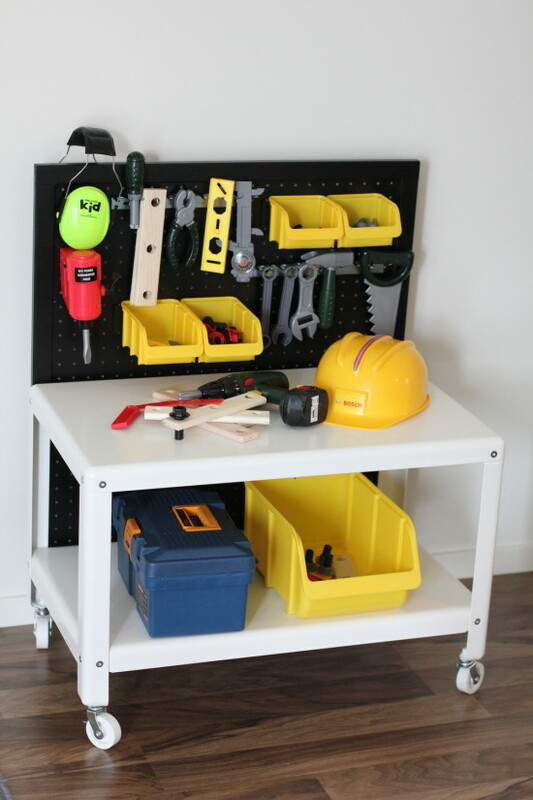 This IKEA hack workbench is so adorable any little child would love spending hours building new projects just like their parents! If you aren’t a builder that’s okay. You can always fake the funk, your kids won’t know any better and by the time they are old enough to use power tools you can pretend that you’re too old to build anything anymore so they will have to do it! Wow! 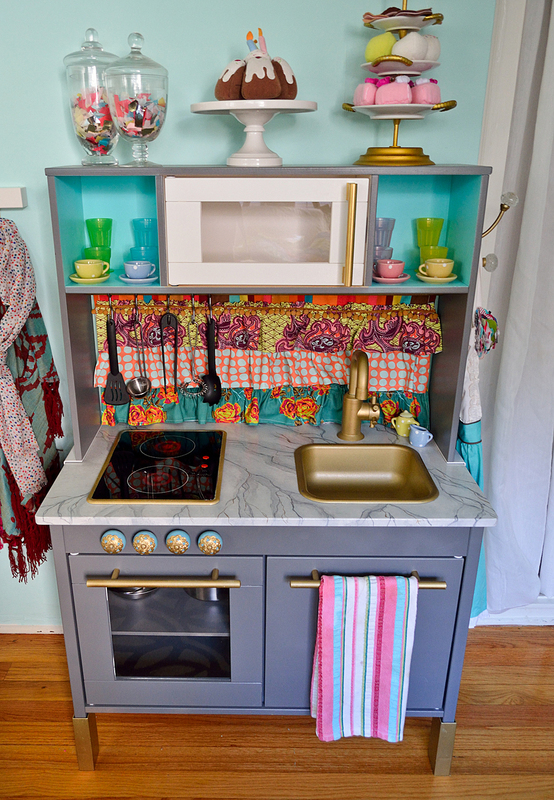 This IKEA hack kitchen is so gorgeous any child would be lucky to play in this dream kitchen. I’m ending this list on some next level stuff here. Not much to say, just admire the creativity behind it. I’ll never stop being amazed at the creativity people use to build these IKEA hacks. I easily could’ve done a list of the 50 IKEA hacks that I love but I wanted to keep the list smaller so I don’t go an rob my local IKEA for everything that they have. 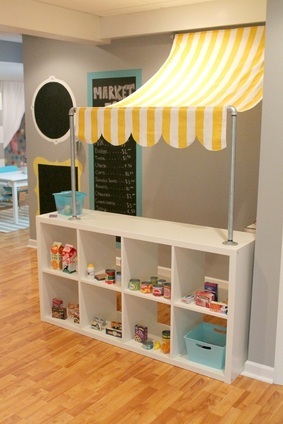 Combine these IKEA hacks with these Dollar Store hacks for kids and you end up saving more money than you imagined. Worried about keeping things organized? Then at the very least you can keep shoes in the right place with these shoe storage ideas.